The 114 chapters of the Qur'an with classical English translation. 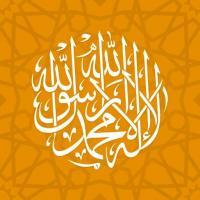 The Arabic that you will hear is the unchanged Qur'an revealed to Muhammad (peace be upon him), the Final Messenger. The poetic, unique beauty of the Qur'an in its revealed language is truly miraculous, even to the non-Arabic speaker. We invite you to reflect upon its meaning, its message of peace through submission to the will of our creator.